Palazzo units sold in 2018 had a 2% increase in price per square foot compared to 2017. 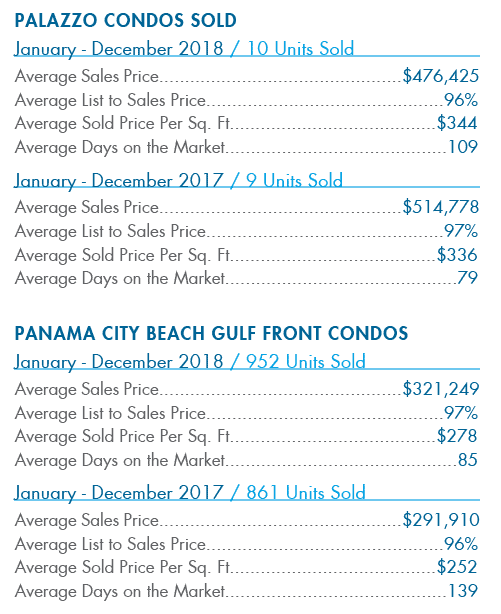 Average sold price decreased due to the majority of units sold in 2017 being 3-bedroom units. 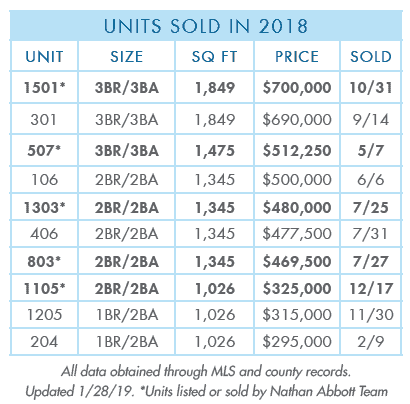 The Nathan Abbott Team was involved in over half of 2018’s sales at Palazzo! As a pre-construction listing agent and owner, Nathan Abbott has been involved with the majority of units sold at Palazzo. We currently have multiple units listed. If you are interested in purchasing or selling at Palazzo, contact us for details. To find out the current market value of your Palazzo property contact us at 850-812-3261 or Info@NathanAbbottTeam.com. See all properties currently available for sale in Palazzo.